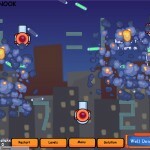 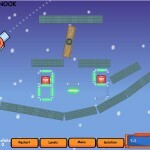 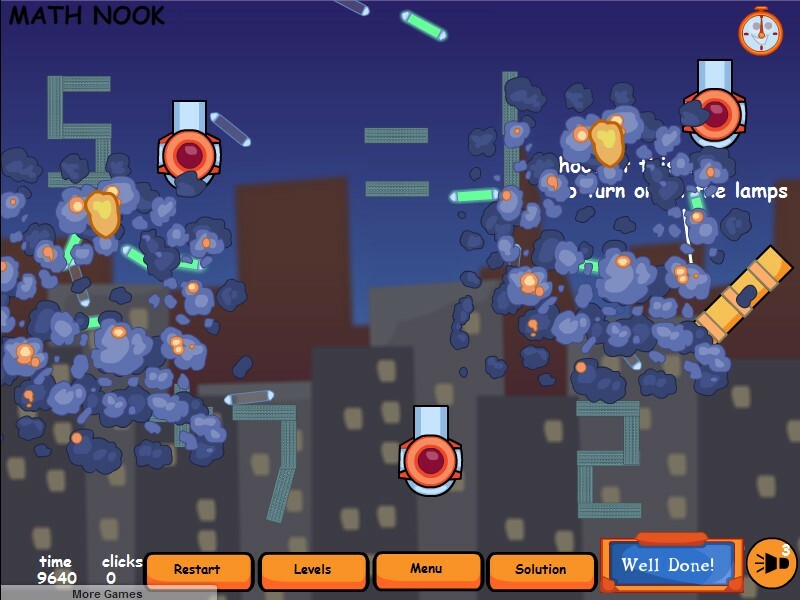 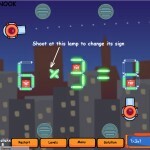 Aim And Shoot Physics Puzzle Best Physics Click to find more games like this. 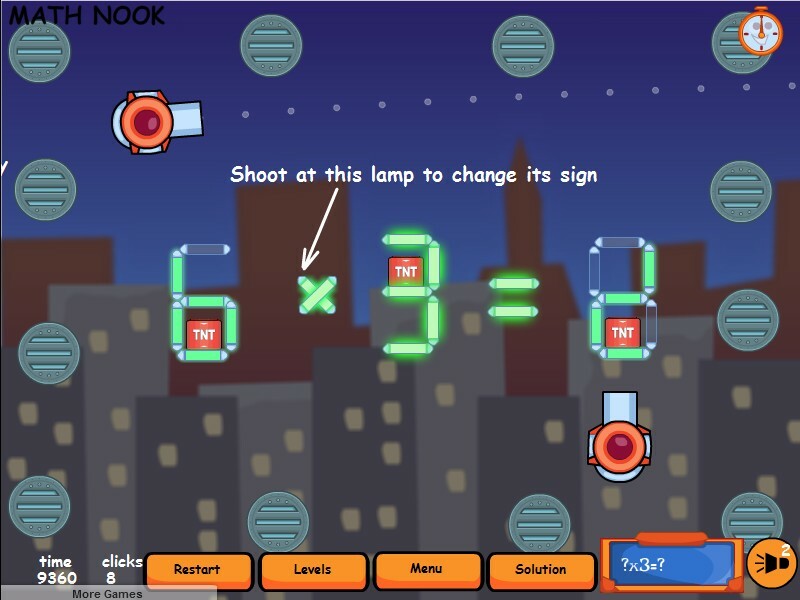 Make the equality right by shooting at the lamps from the cannons to turn them on or off. 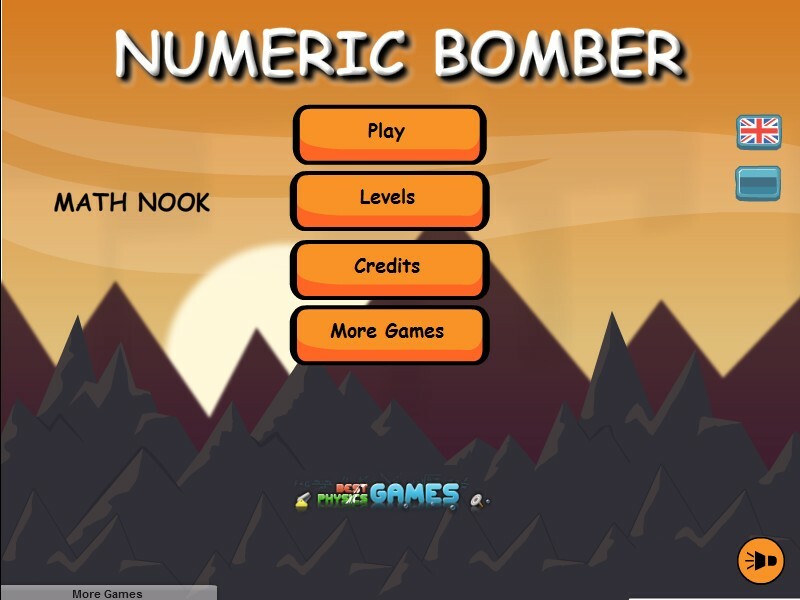 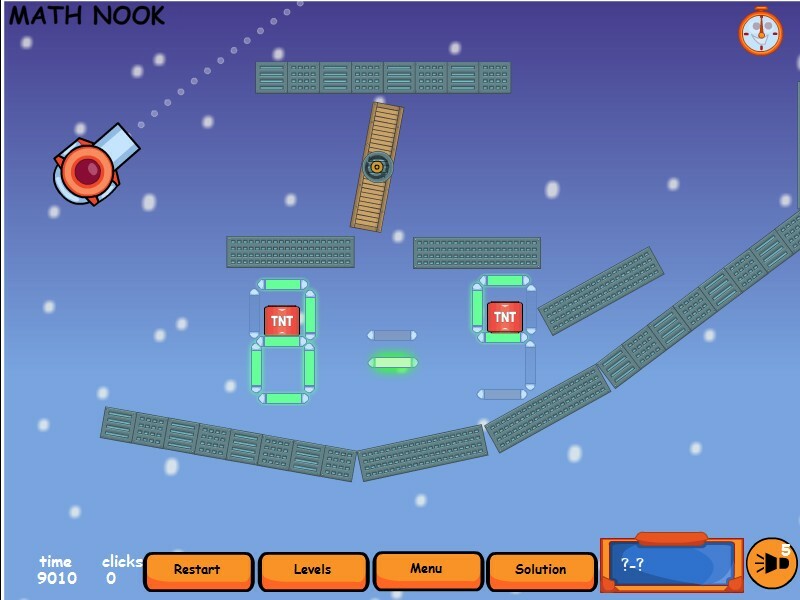 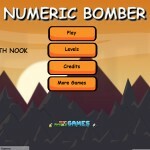 Its a mixture of physics cannon game and arithmetical puzzle.